2002 Sea Nymph AN150S This 2002 Sea Nymph AN150S is powered by a Mercury 9.9 Motor and is equipped with a Evinrude 44# Trolling Motor, Humminbird Xtreme 160 at Console, Boat Cover, Single Axle Trailer with Spare Tire. For more detailed information, please contact Knox Marine. 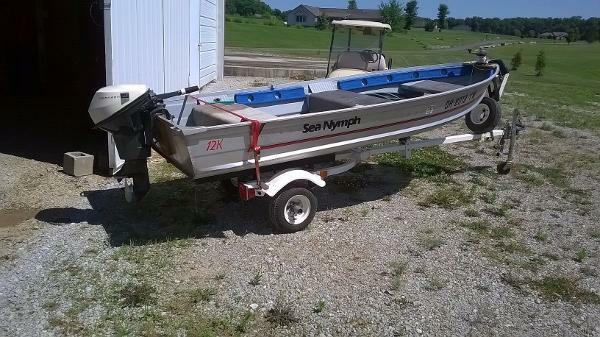 1995 Sea Nymph SC170 1995 Sea Nymph SC170 w/ Johnson 70hp 2-Stroke Please call or email for more information. 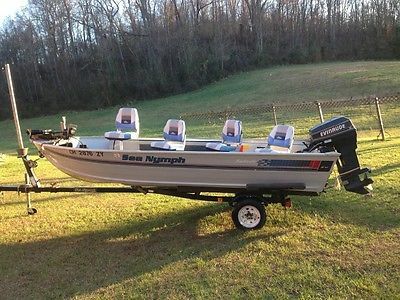 1995 Sea Nymph TX 175 SOLD 1995 SEA NYMPH TX 175 2 Live Bait Tanks Ready to fill!!! 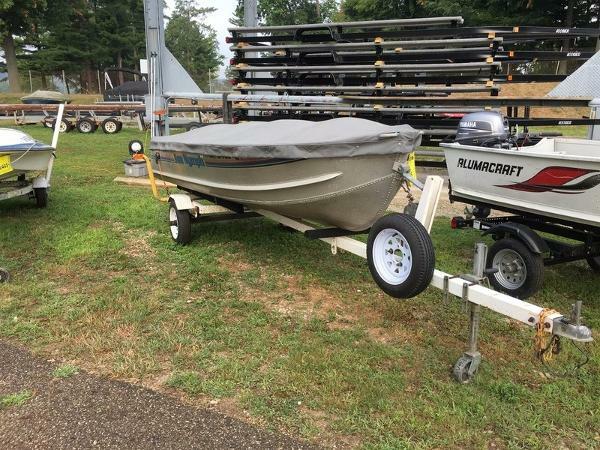 Nice Aluminum Fish Boat all ready for a serious ANGLER! 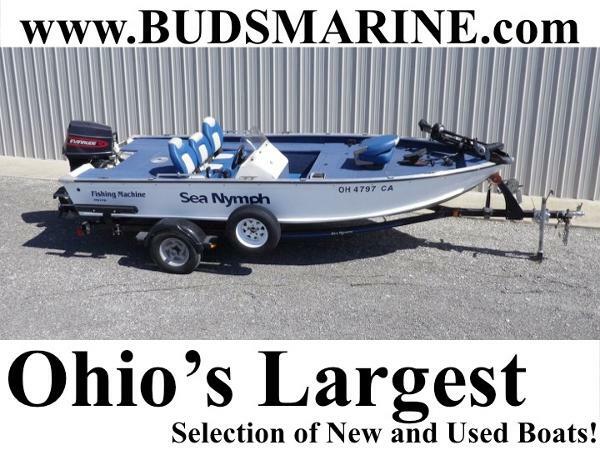 !Get out on the water with this well kept Sea Nymph Boat, fall fishing is simply great!! 1971 Deep-V Sea Nymph. Heavy gage aluminum hull original from manufacturer (not the pop can aluminum stuff they make now). No leaks or damages. 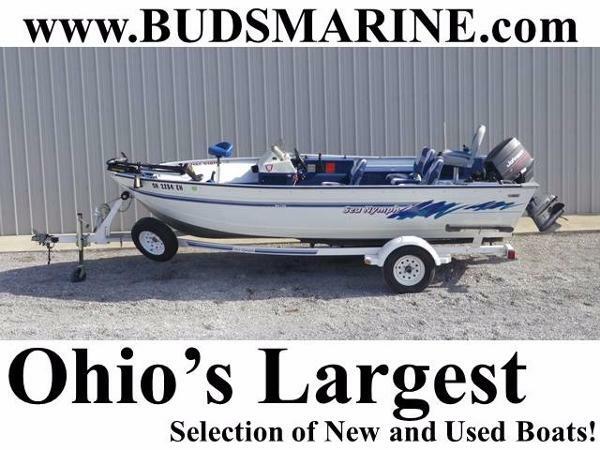 A strong boat, seen 4-6' waves on Lake Erie without any problems. Newly rebuilt self-made Cuddy cabin. 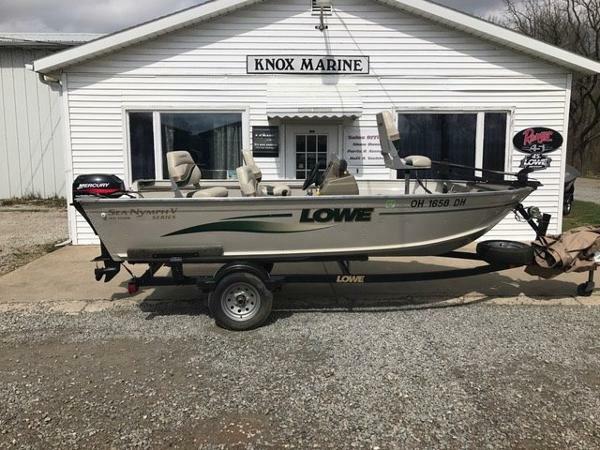 Has steering wheel column, sump pump, horn, front floodlight, running lights, fish-finder, two oars, anchor, life vests, windscreen. Tee-Nee trailer with new tires and both sets of axle bearings. Spare tire on wheel. New front ball hitch. 1972 Evinrude 25 Hp. motor. Needs tune-up but ran great (I think it needs a fuel pump). New cylinder head, coils, spare electrical parts. Fast on the water. Painted anti-submarine pattern as used by U.S. Navy in WW II. Coast Guard approached from 3 miles away as they said it kept "disappearing". They approached and took personal photo's as they said they had never seen anything like this before. Local pick-up only by buyer. 1998 Sea Nymph FM170 Although this Sea Nymph Fishing Machine 170 is an 1998, it is in immaculate condition. Ready to hit the water and hit your favorite fishing hole. 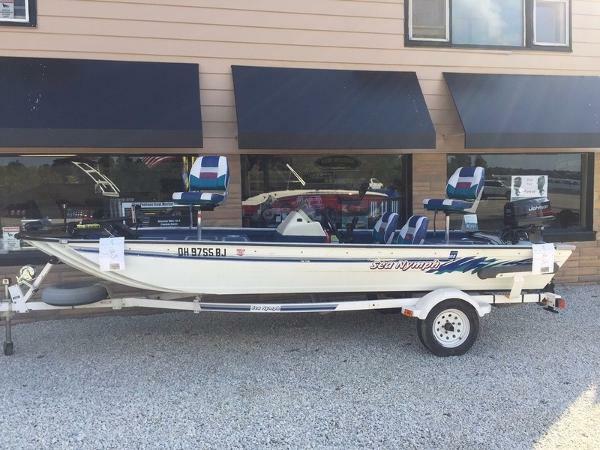 Come check this boat out at Bud's Marine, it won't last long!